Blog to End the Occupation: Ask the State Department about Palestinian Refugees! Ask the State Department about Palestinian Refugees! Refugees, and Migration, will be interviewed by Cheryl Benton, Deputy Assistant Secretary of State for Public Affairs, to discuss "Refugee Assistance, the Human Face of Foreign Policy" in recognition of World Refugee Day, which is on June 20. 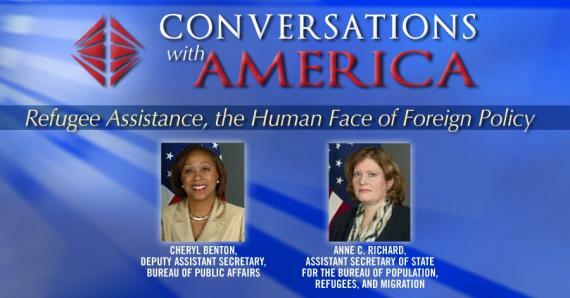 The conversation is meant to highlight refugee assistance, U.S. refugee assistance policies and the concept of humanitarian diplomacy. They are asking people submit questions via Twitter to @EngageState using #RefugeeDay2013. This is an opportunity to pose questions about U.S. policy toward Palestinian refugees. You can use the sample tweets below and/or come up with your own. The discussion will be taped on Tuesday, June 18 so make sure to submit your questions before then! Note: If you do not use Twitter, you can submit questions via the State Department's blog (http://ow.ly/m2ffy) in the Comments section. Keep the Pressure on Alicia Keys!